Firstly Adaptogen refers to a pharmacological concept, put simple it can reduce/resist sensitivity to stress. 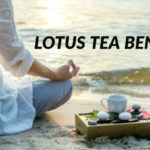 Adaptogenic herbs which can be referred to as ‘adaptogens’ are special substances that can enhance one’s ability to resist, anxiety, stress, trauma and fatigue. 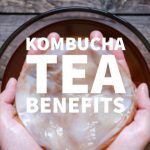 According to Lazarev,1 who was a Russian pharmacologist, adaptogens are special agents that can help an organism counteract any adverse effects of chemical, physical or biological stressor through generating nonspecific resistance. 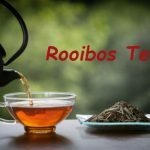 Before getting to know what the top 5 adaptogenic herbs are, it is important to understand the various uses of adaptogenic herbs as identified by scientific research and study. Listed below are some of the common uses of adaptogenic herbal products. They can be used in chemotherapy to reduce the side effects of chemotherapeutic drugs. Ginseng is a general term used to describe a variety of herbs that are covered differently due to their unique healing qualities. Below are the common ginseng herbs used for their adaptogenic properties. American Ginseng root whose botanical name is ‘Panax quinquefolius’ is a bitter, slightly sweet, neutral and moist ginseng herb used as an adaptogen. 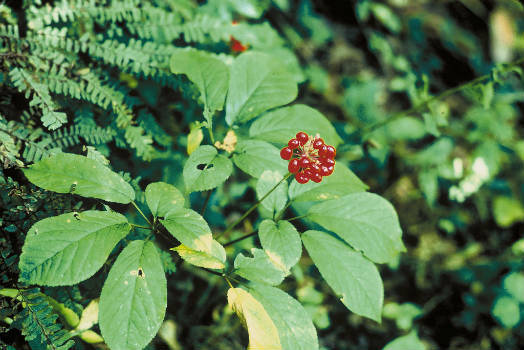 American Ginseng is relatively similar to Asian Ginseng (Panax ginseng) although it is milder and less stimulating than the latter. Its mild and moistening properties make it quite effective for fatigue, asthma, autoimmune diseases of the lungs, chronic depression or anxiety and recovery from bronchitis or pneumonia. Due to its mild nature, American Ginseng is less likely to cause insomnia or nervousness which are key side effects of using Asian Ginseng making it highly appropriate for use by young people of all genders. The adaptogenic herb can also be used for adrenal deficiency, immune depletion, sexual neurasthenia, deficient insomnia among other medical problems. Eleuthero root which is a distant cousin of the American ginseng is an adaptogenic herb whose botanical name is ‘Eleutherococcus senticosus.’ The herb was formerly known as the ‘Siberian ginseng’ until it became illegal to market it under that name in the USA. Eleuthero root which is well known worldwide is considered to be one of the best adaptogenic herbs. The herb has a strong action that assists the symptoms of adrenal fatigue through stopping the stress response that is known to result in the production of too much adrenaline and cortisol. Eleuthero root is also known to relieve depression and sharpen one’s mental abilities. 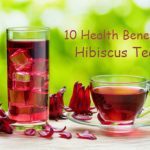 The herbal plant also happens to be one of the best immune system remedies. Asian ginseng is the most common ginseng that is used in most remedies. The herb has excellent qualities as an adaptogen and can aid in relieving stress and anxiety while increasing energy in the body. Panax ginseng also plays a powerful role in helping adrenal gland fatigue through preventing stress burnout. 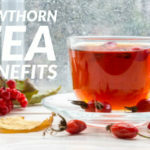 ‘Withania somnifera’ is the botanical name for the Ashwagandha root which is popularly referred to as ‘winter cherry.’ The adaptogenic properties of the herb are well-known, as well as its benefits in aiding stress, enhancing endurance levels and in soothing and calming one’s nervous system. Ashwagandha root can aid in managing and treating inflammatory conditions, making it highly efficient in arthritis treatment. Ashwagandha root was traditionally used for anxiety, insomnia, nervous exhaustion, bad dreams and mild obsessive-compulsive disorder. The herb has properties that can enhance male fertility through improving the sperm count and sperm motility. It can also benefit iron- deficient anemia patients due to its iron contents. Known by other popular names like ‘Rose Root and Golden Root’ Rhodiola has long been used in Scandinavia, Russia and eastern Europe as a rejuvenating tonic. Human studies have found the root quite effective in treating mild depression, impaired cognitive function, infertility in women, erectile dysfunction, neurasthenia, attention deficit hyperactive disorder among other medical conditions. 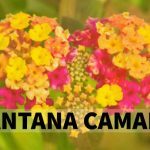 The adaptogenic herb can also assist people recover from a variety of bacterial infections, aid resistance to influenza and help boost the normal functioning of the lungs. The adaptogenic herb should not be given to patients with manic, anxious or bipolar conditions. Apart from being an adaptogenic herb, Rhodiola root is also used as an antioxidant and an antidepressant herb. The active ingredients of the herb are anti- arrhythmic and cardio- protective offering protection against irregular heartbeats. Tulsi which is often referred to by other popular names like ‘sacred basil and holy basil’ has been part of the Hindu religion for thousands of years and is known as one of the most powerful and revered herbal remedies in India. Apart from being traditionally used as a remedy for stomach upsets and bronchitis, its adaptogenic properties have also been widely documented. Tulsi which is an antioxidant has Neuroprotective properties and can be used as a form of protection against harmful radiations. Research on the effects of the herb using animals is ongoing. Although studies on humans have not yet conclusively proven its uses, although traditional users are well conversant with its many benefits. The Goji berry herb is widely known in china as a unique plant that contains both anti inflammatory and antioxidant flavonoids and carotenoids. Goji berry which is also known by other names like gugijanamu, Wolfberries, kukoshi and Gou Qi Zi can be beneficial if eaten daily as it has unique properties that can strengthen weak muscles. Goji berry is an adaptogenic herb that acts as an excellent tonic herb for the kidneys, liver and blood. The carotenoid properties of the adaptogenic herb are beneficial in improving vision, offering protection against diseases, improving sexual performance among other medical issues. 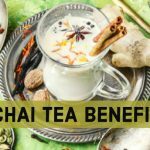 There are few notable adaptogenic herbs side effects, making the herbal remedies great alternatives to prescribed and over-the-counter medication. It is, however, important to consult medical professionals to advise you on using the mentioned adaptogenic herbs as some special groups of people may find themselves at serious risk of using the herbs due to a variety of reasons.